The Year 7 pupils have returned from a six-day trip to Northern France. Pupils and staff participated in a range of fun and exciting activities to immerse themselves in French culture, history and the French language. One of highlights of this European adventure was a visit to an authentic French crêperie, where pupils baked their own bread from scratch and enjoyed a range of delicious crepes for lunch. Pupils also put their tastebuds to the test at the local snail farm - c'est delicieux! The atmosphere was buzzing at the beeswax museum as pupils crafted their own candles by hand and donned bee and beekeeper costumes to perform a dramatic beehive role play. 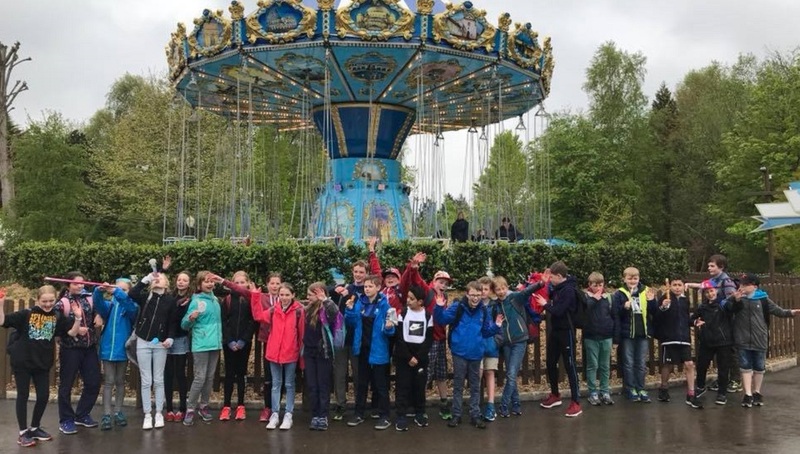 With their newly acquired bee wings attached, pupils soared to new heights at supersonic speeds on the rollercoasters and log flumes of Parc Bagatelle. To further satisfy their appetites for adventure, pupils were treated to a hearty continental breakfast, a picnic lunch and three course dinner every evening - bon appétit!